The cosy train carriage (3 x 7 metres), has been converted for glamping – ‘Van’ style. The Brake Van is an ideal escape for couples (or singles). This unique space provides a special experience for the adventurous. The classic railway brake van features the original (and still working) pot-belly stove (*please note there is a $10/night fuel surcharge during winter if you want to pot belly set), wood box, brake wheel and worker’s desk. Now the raised brake seats provide a cosy nook for enjoying a glass of wine or playing board games. It is fitted out with modern amenities – luxurious linen and electric blanket, electric heating, flat screen TV and DVD, sound dock system, microwave and other kitchen equipment. Glampers in the Brake Van have their own designated shower room and basin, as well as their own toilet facilities. Showers and toilets are in two separate buildings and only a short walk from the Van. 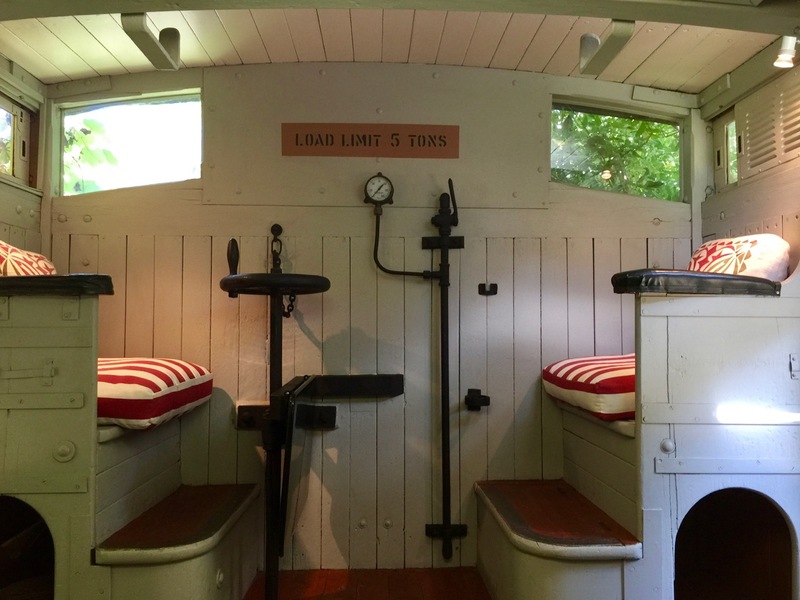 Our brake van (48O ZL), also known as a guard’s van, was originally built around 1914. The van was an important part of every early goods trains. It carried a guard and was equipped with a strong brake to help with slowing and stopping the train. From the van, the guard could keep an eye on the train in case of problems.